I was commissioned by The Rt. Rev. Leo Alard to make this pectoral cross for his friend, The Rt. Rev. Miguel Tamayo after his election as the second bishop of the Anglican Diocese of Uruguay in 1997. 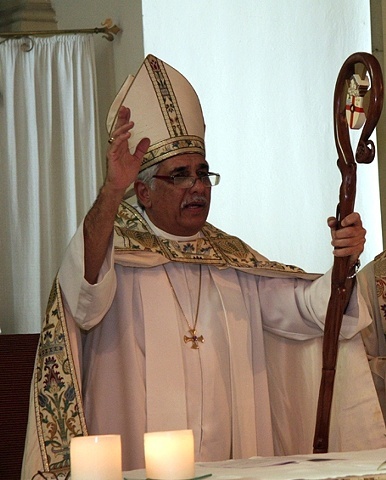 Bishop Tamayo was consecrated and installed as diocesan bishop in the Cathedral of the Holy Trinity, Montevideo, on the feast of St. Augustine of Canterbury, 26 May 1998. A sterling silver replica of this cross is available for purchase.